Ruth Prawer Jhabvala’s adaptation from her own Booker Prize-winning novel, the 1983 Heat and Dust produced by Ismail Merchant and directed by James Ivory – moves effortlessly between past and present in a sensual and evocative journey, telling the story of two women’s paths to self-discovery more than half a century apart. When Anne (Julie Christie) inherits the letters of her great-aunt Olivia (Greta Scacchi in her breakthrough role), she becomes drawn to India by their revelations of a relationship with a handsome and charismatic, if not entirely scrupulous, Indian prince (Shashi Kapoor). The strong supporting cast includes Madhur Jaffrey as the prince’s manipulative mother, Christopher Cazenove as Olivia’s husband and Nickolas Grace as Harry, her confidant. 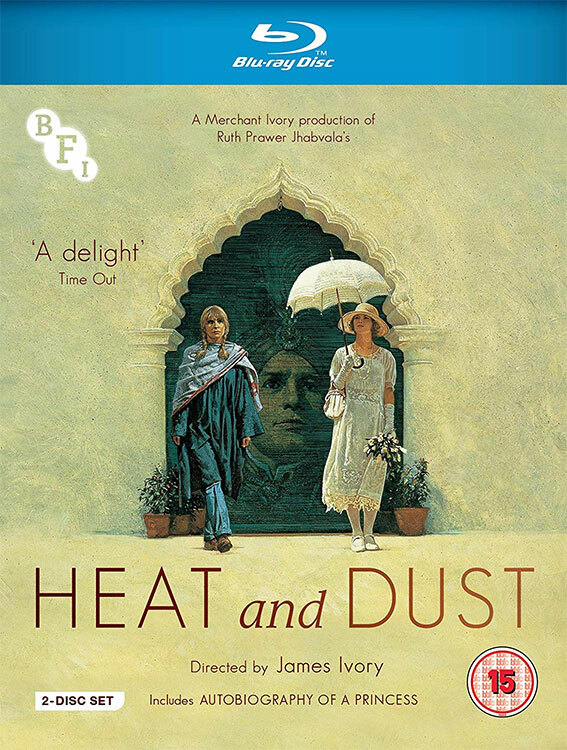 Now beautifully restored in 4K and available on Blu-ray for the first time, the BAFTA-winning Heat and Dust is accompanied by Autobiography of a Princess (1975), Merchant Ivory’s fictional study of Imperial India starring James Mason and Madhur Jaffrey. Heat and Dust will be released on UK 2-disc Blu-ray by the BFI on 15 April 2019 at the RRP of £24.99, with an iTunes release to follow on 29 April.